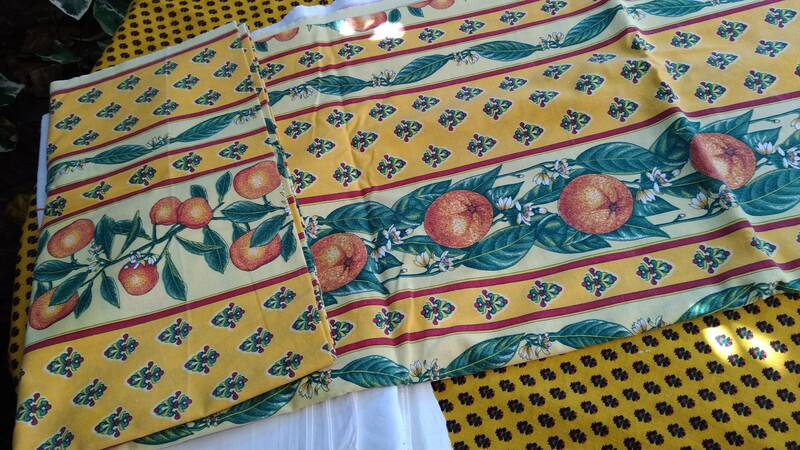 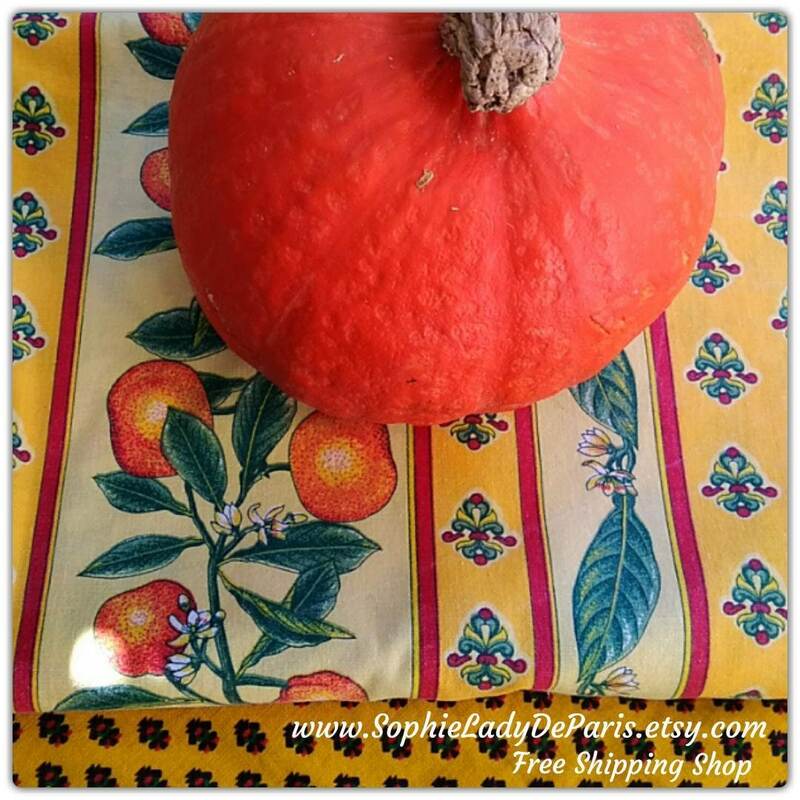 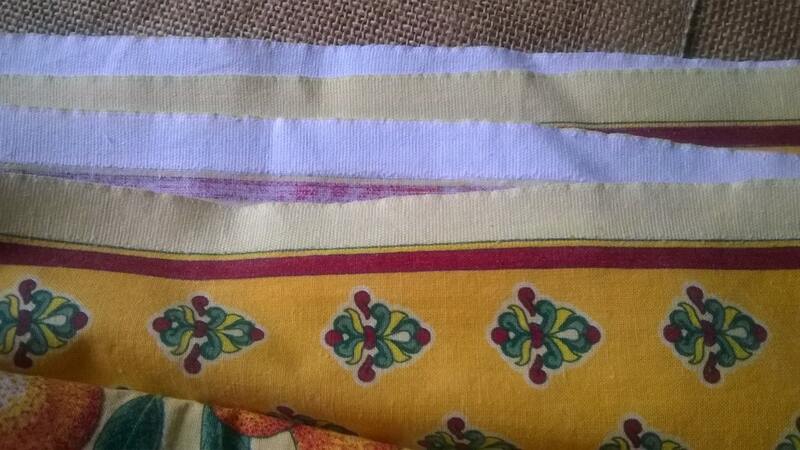 Home Decor Fabric Unused Yellow Provence Fabric. 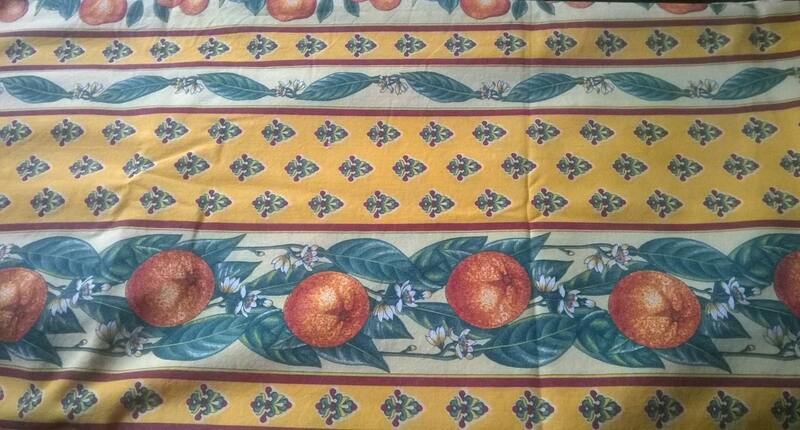 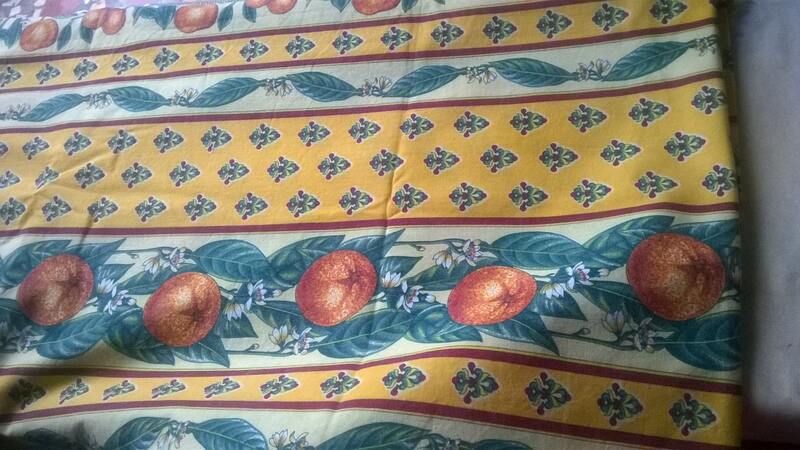 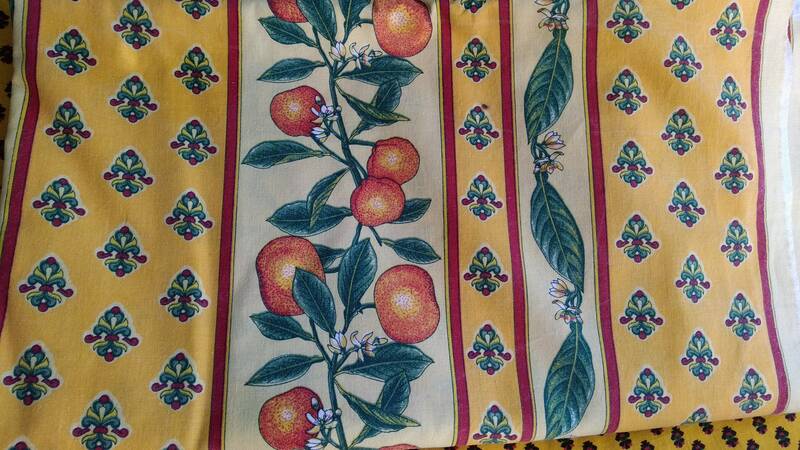 Beautiful Yellow, Blue, Green, Red color with tangerine prints. 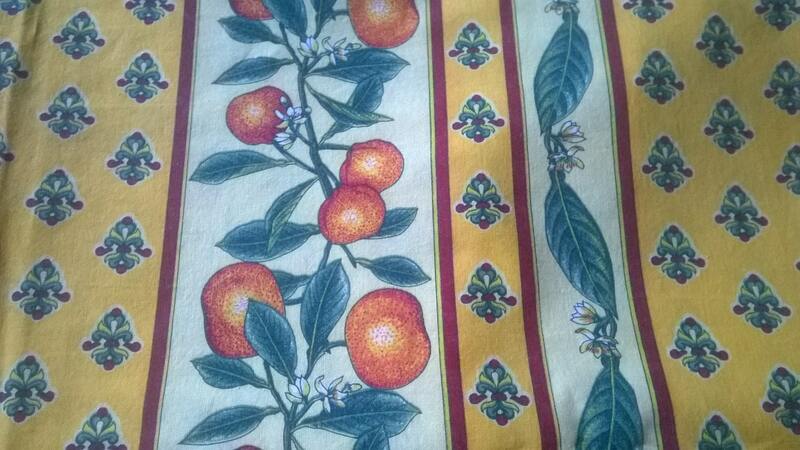 Unused vintage fabric , washed once. 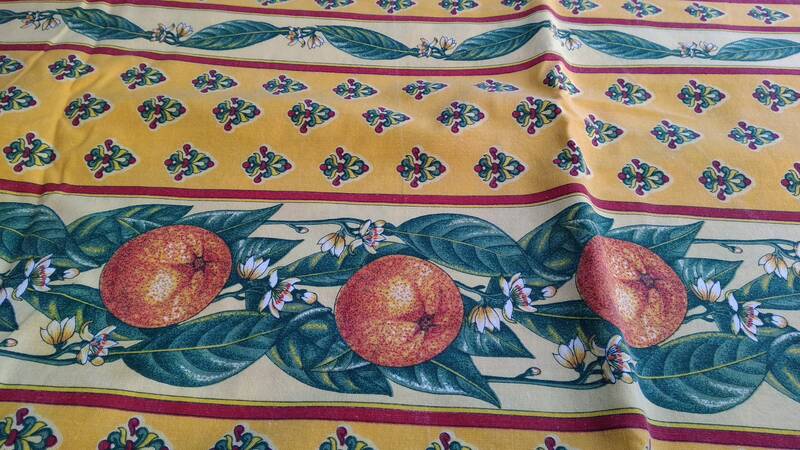 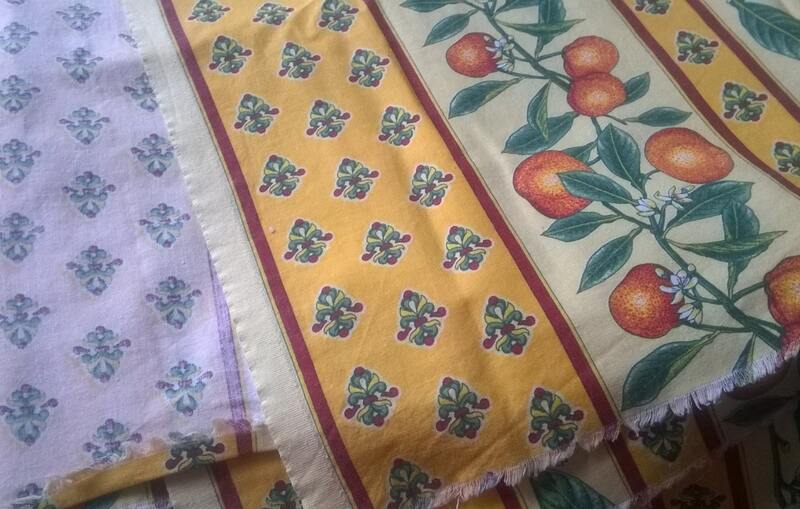 Gorgeous fabric to make tablecloth, curtains, pillows, etc...to decorate your Home !